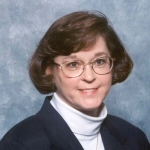 Dr. Linda Reese is a former Assistant Professor of United States History, Women’s History, and Oklahoma History at East Central University (Oklahoma). Her research focuses on women of color in the American West and the struggle for racial, economic, and gender equality in 20th century America. She is the author of Women of Oklahoma, 1890-1920 (University of Oklahoma Press, 1997) as well as journal and encyclopedia articles. Since the publication of “Cherokee Freedwomen in Indian Territory, 1863-1890,” in Western Historical Quarterly (Autumn 2002), she has been at work on a book examining the Freedwomen of the Five Civilized Tribes in Oklahoma. She is the winner of the 2003 Coordinating Council for Women in History Catherine Prelinger Award.